Good morning! Hope you all had a wonderful weekend. 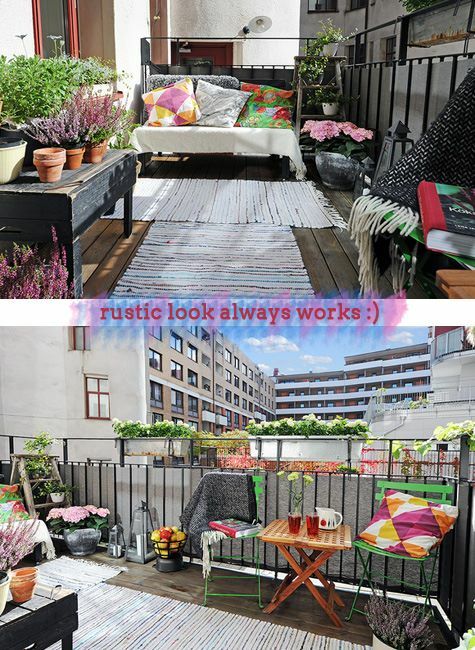 When it comes to dressing up one’s balcony and learning a thing or two about container gardening, I look no further than the Nordic region. 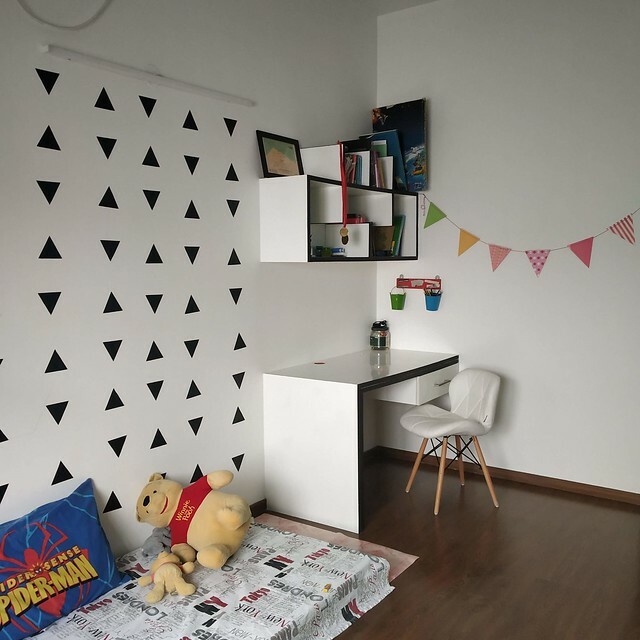 The design sensibilities, the color scheme (mostly whites offset with colorful furnishings), simple furniture, tall ceilings, and natural stained wood goes with what I believe in : keep it simple. 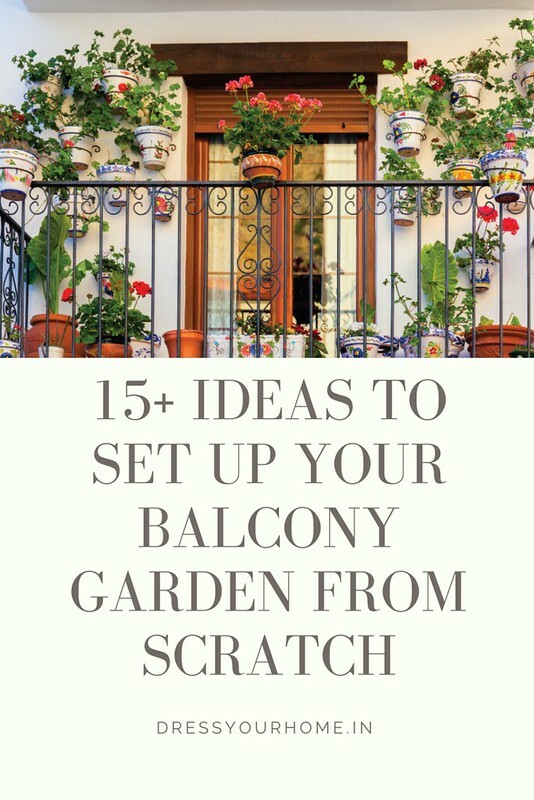 This post is about decking up one’s balcony along with the beautiful plants you may have. 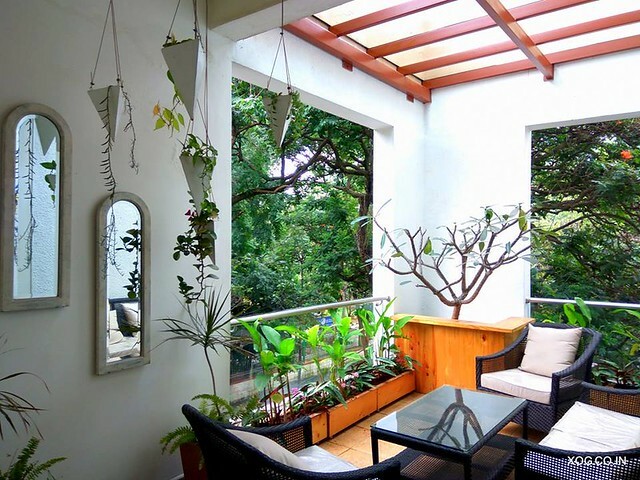 Most of the apartments featured here are much smaller than a typical 2 or 3 BHK in India. So, if they can look this beautiful, I don’t see any reason why we can’t do the same. 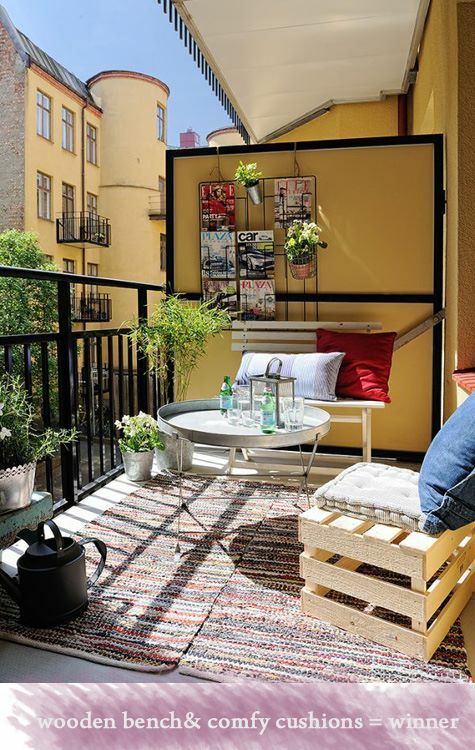 Of course, the views from the Nordic apartments overlooking some quirky cafes, a clear night sky above, red rooftop houses, clean streets, lush green views, ancient architecture – it’s all a heady combination that we can’t bring home. But, why not try and make the most of what we have. It need not cost a fortune to get this look. A simple rug from Cottage Industries or FabIndia, garden/outdoor chairs from Fab Furnish/Urban Ladder/Home Town, a lantern and colorful cushions are all you need to get this look. 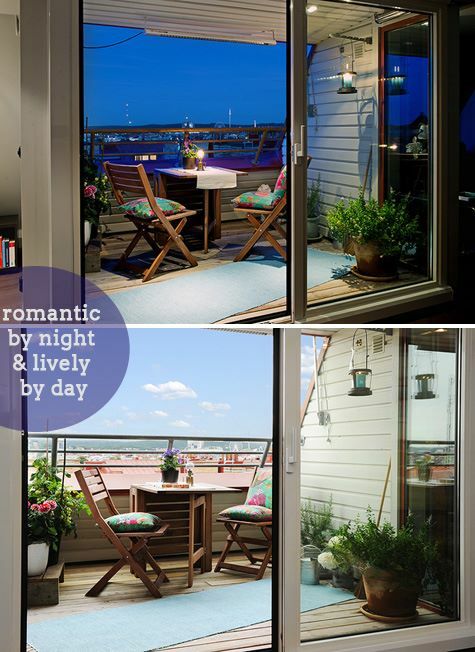 Many apartments have only one balcony that are rectangle in shape and double up for other things like drying clothes. So fitting in plants, clothes and furniture may be challenging. What you could do is move plants to rail planters and free up the ground space. It need not be as perfect as the first image. 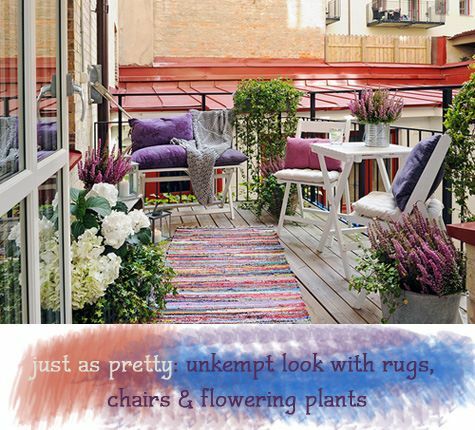 A unkempt place looks just as pretty with the same components mixed and matched in bold colors to your taste. This one is simple yet classy with no frills about it. Ready for a patio makeover? Sooooooooooooooooo gorgeous! Each one better than the other… Such simple additions that can change the look completely… Its a wow!! Amazing!! so simple yet so beautiful. This by no doubt increases the aesthetics of the home.